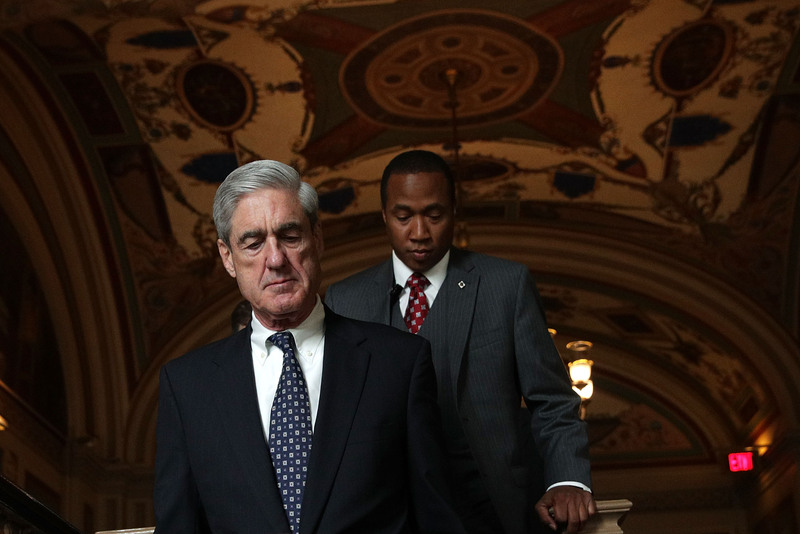 Special counsel Robert Mueller is reportedly close to finishing his investigation into possible collusion between the Trump campaign and Russia. Mueller and his team recently focused on Trump associates’ potential contacts with WikiLeaks regarding the group’s publication of emails stolen from the Democratic National Committee and Clinton campaign chairman John Podesta. Two former friends, longtime GOP operative Roger Stone and left-wing radio host Randy Credico, have been key players through this portion of the investigation. As special counsel Robert Mueller wraps up his investigation into possible collusion between the Trump campaign and the Russian government, he has focused heavily on direct and indirect contacts Trump associates potentially had with WikiLeaks, the group that released emails stolen from the Democratic National Committee (DNC) and Clinton campaign chairman John Podesta. The probe has honed in on two former friends: Roger Stone, a longtime GOP political operative, and Randy Credico, a left-wing radio host who Stone claims was his source for claims during the campaign about WikiLeaks’ plans to release anti-Clinton information. Stone and Credico have engaged for months in a public dispute over Stone’s claims. Credico adamantly denies he was Stone’s link to WikiLeaks. Stone and Credico’s public and private statements throughout the spat provide context to the events leading up to the WikiLeaks release. To help make sense of the dispute, here’s a timeline of events before and after the Podesta dump, which occurred on Oct. 7, 2016. Roger Stone: A longtime associate of President Donald Trump’s, who left the campaign in August 2015. He is reported to be a target of the special counsel’s investigation. Randy Credico: A New York-based comedian and radio host whom Stone claims was his source of information about WikiLeaks’ plans to release information damaging to the Clinton campaign. Robert Mueller: A former FBI director who was appointed special counsel on May 17, 2017, to oversee the investigation into possible Russian collusion during the 2016 election. Jerome Corsi: A right-wing author who worked with Stone during the campaign. He said Nov. 12 he was informed by Mueller’s team that he will be indicted for perjury. Margaret Ratner Kunstler: A left-wing attorney who has represented WikiLeaks. She is close friends with Credico. Hackers infiltrate the Gmail account of Clinton campaign chairman John Podesta. Julian Assange reveals his organization, WikiLeaks, is planning to release information about Hillary Clinton. 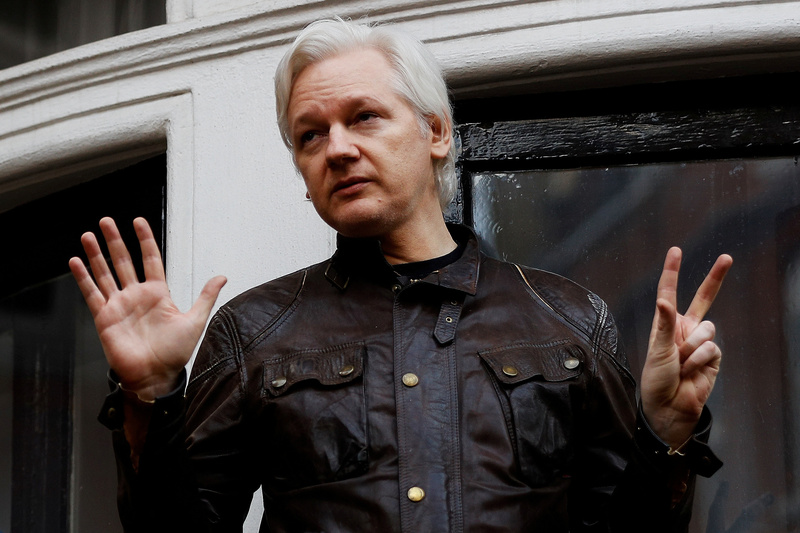 “We have upcoming leaks in relation to Hillary Clinton … We have emails pending publication,” Assange told ITV. WikiLeaks releases nearly 20,000 emails stolen from the DNC. Stone says he interpreted “CF” as a reference to the Clinton Foundation. Jerome Corsi begins telling associates his theory that WikiLeaks was planning to publish Podesta’s emails. Corsi told The Daily Caller News Foundation on Nov. 13, several days after he testified to Mueller’s grand jury, he also told Stone his theory. Stone vehemently denies Corsi’s claim. Stone says at a speech in front of a group of Republicans in Florida he had communicated with Assange. “I actually have communicated with Assange. I believe the next tranche of his documents pertain to the Clinton Foundation but there’s no telling what the October surprise may be,” he says. Stone has since downplayed those remarks, saying he was embellishing, and his comment reflects the inaccurate tip he received via the Rosen email he thought referred to the Clinton Foundation. “Stone is a bullshitter,” WikiLeaks says in a private Twitter message. The group would repeatedly deny having any contact with Stone. Stone and a self-described hacker going by the pseudonym Guccifer 2.0 communicate privately on Twitter. Stone called the brief exchange innocuous, noting there is no discussion of Russians, hacks or Podesta’s emails. Stone posts a tweet that would later thrust him into the center of the Russia probe. “Trust me, it will soon [be] the Podesta’s time in the barrel,” Stone writes. Podesta and other Stone critics have pointed to the tweet as evidence that Stone had prior knowledge of WikiLeaks’ release of Podesta’s emails two months later. Stone said rather than referring to forthcoming WikiLeaks emails, he was referring to a conversation he had with Corsi, who had researched the business activities of John and his brother, Tony Podesta. Stone noted his tweet referred to “the Podesta’s,” which he meant to be plural, rather than solely to John Podesta. Corsi provides a nine-page memo to Stone regarding the Podesta brothers and the Podesta Group’s various lobbying relationships. Credico asks Stone not to identify him as his link to Assange. “Just remember do not name me as your connection to Assange you had one before that you referred to,” he writes. Credico traveled to London, but says he did not meet with Assange. Credico again asks Stone not to link him publicly to WikiLeaks. “You are not going to drag my name into this are you,” Credico wrote. 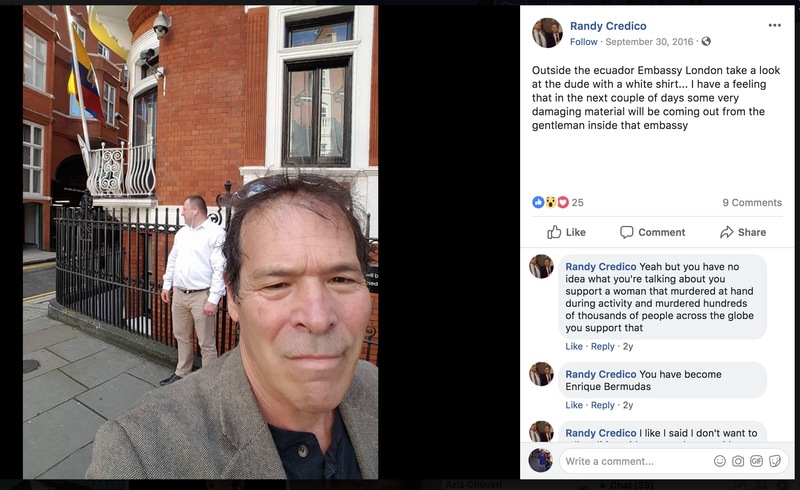 Credico posts a photo of himself on Facebook from outside the Ecuadorean embassy in London. “Outside the ecuador Embassy London take a look at the dude with a white shirt… I have a feeling that in the next couple days some very damaging material will be coming out from the gentleman inside that embassy,” he writes. “Hillary’s campaign will die this week,” he texts later that day. “Wednesday @HillaryClinton is done,” Stone writes on Twitter. WikiLeaks cancels a press conference with Assange, citing security concerns. Corsi also tweets in response to Assange’s canceled press conference. Credico writes to Stone that information would be released on Tuesday. Assange holds a press conference and announces WikiLeaks will release documents prior to the election. He says the pending release is not targeted at Hillary Clinton and documents will be leaked beginning that week. Stone exchanges emails with Bannon regarding Assange’s press conference. “What was that this morning?? ?” Bannon writes to Stone. “Fear. Serious security concern. He thinks they are going to kill him and the London police are standing down,” Stone responds. Numerous Trump supporters, including Corsi, express frustration at the press conference. Stone continues teasing the WikiLeaks release. “Libs thinking Assange will stand down are wishful thinking. Payload coming #Lockthemup,” he tweeted. “Julian Assange will deliver a devastating expose on Hillary at a time of his choosing. I stand by my prediction,” Stone tweets. WikiLeaks releases the first batch of stolen Podesta emails. Podesta accuses Stone of having prior knowledge of the WikiLeaks release. Stone disputes Podesta’s comments and for the first time says he had a back channel to Assange. Deputy Attorney General Rod Rosenstein appoints Robert Mueller as special counsel. Stone appears before the House Intelligence Committee. He refuses to reveal the identity of his WikiLeaks back channel. Stone privately identifies Credico to the Intelligence Committee. Credico is identified as the person Stone claims was his connection to WikiLeaks. Credico asserts his Fifth Amendment rights prior to an interview scheduled with the House Intelligence Committee. Credico says he provided “disinformation” to Michael Isikoff and David Corn, the authors of “Russian Roulette,” a book about the collusion investigation. “I gave them a lot of disinformation, so when his book comes out, he’s going to like put stuff in there that’s all lies,” Credico says in an interview with H. A. Goodman. Isikoff and Corn were the only two reporters to publish allegations from the infamous Steele dossier prior to the 2016 election. Both met with Steele and Fusion GPS, the firm that commissioned the dossier. In his first national TV interview, Credico denies being a source for Stone. “I have no idea, some of the things I may have said to him, but certainly did not pass any information from Julian Assange to Roger Stone,” he told MSNBC’s Ari Melber. In an interview with Isikoff, Credico reiterates his denials that he was Stone’s link to WikiLeaks. He also denies he knew attorneys who worked for Assange, undercutting his claims in his text messages with Stone. “He had another version — that I was protecting a lawyer friend of mine of Assange,” Credico says of Stone. Mueller indicts 12 officers with Russia’s military intelligence agency, the GRU, over the hacks and dissemination of DNC emails. Credico testifies to Mueller’s grand jury. He says in an interview with CNN after his appearance that his testimony matched his public denials that he was Stone’s back channel to WikiLeaks. David Lugo, a filmmaker who has worked with Stone and Credico, testifies to the Mueller grand jury that Credico told him on May 12, 2017, that he was a conduit between WikiLeaks and Stone. An attorney who has worked for Stone, Tyler Nixon, testified he was at a dinner in mid-November 2017 where Credico seemingly acknowledged he was Stone’s link to WikiLeaks and Assange. Corsi testifies for the second time before Mueller’s grand jury. He claims days later that prosecutors had informed him he would be indicted for perjury. While maintaining his innocence, Corsi told TheDCNF he began telling associates in August 2016 that he believed WikiLeaks had possession of Podesta’s emails. He claimed to have told Stone, who strongly denied Corsi’s recollection of events. Corsi claims to not have had contact with WikiLeaks or Assange, and said he developed a theory on his own that WikiLeaks had Podesta’s emails.